Is Johnson & Johnson (JNJ) Worthy of Being in Your Portfolio? The SEC requires hedge funds and wealthy investors with over a certain portfolio size to file a report that shows their positions at the end of every quarter. Even though it isn’t the intention, these filings level the playing field for ordinary investors. The latest round of 13F filings discloses the funds’ positions on September 30. We at Insider Monkey have compiled an extensive database of more than 700 of those elite funds and prominent investors’ filings. In this article, we analyze how these elite funds and prominent investors traded Johnson & Johnson (NYSE:JNJ) based on those filings. 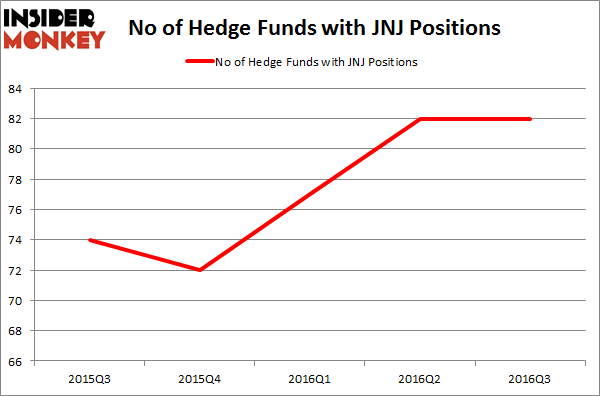 Hedge fund interest towards Johnson & Johnson (NYSE:JNJ) was flat at the end of last quarter. This is usually a negative indicator. At the end of this article we will also compare JNJ to other stocks including Facebook Inc (NASDAQ:FB), General Electric Company (NYSE:GE), and AT&T Inc. (NYSE:T) to get a better sense of its popularity. At the moment there are tons of methods shareholders can use to analyze stocks. A couple of the most useful methods are hedge fund and insider trading interest. Our experts have shown that, historically, those who follow the top picks of the elite money managers can outpace their index-focused peers by a very impressive margin (see the details here). With all of this in mind, let’s take a glance at the key action regarding Johnson & Johnson (NYSE:JNJ). 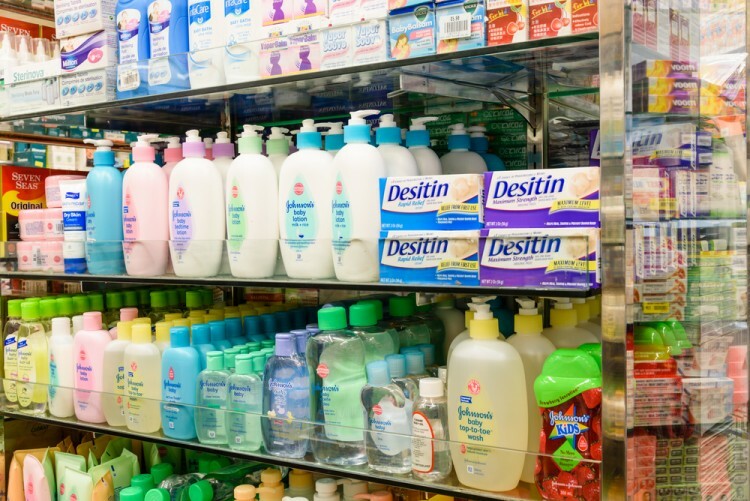 What does the smart money think about Johnson & Johnson (NYSE:JNJ)? At the end of the third quarter, a total of 82 of the hedge funds tracked by Insider Monkey were long this stock, unchanged over the quarter. With hedge funds’ sentiment swirling, there exists an “upper tier” of notable hedge fund managers who were increasing their holdings meaningfully (or already accumulated large positions). According to Insider Monkey’s hedge fund database, Ken Fisher’s Fisher Asset Management has the biggest position in Johnson & Johnson (NYSE:JNJ), worth close to $1.28 billion, amounting to 2.3% of its total 13F portfolio. Sitting at the No. 2 spot is Yacktman Asset Management, led by Donald Yacktman, holding a $725.8 million position; the fund has 6.3% of its 13F portfolio invested in the stock. Remaining peers that hold long positions comprise Cliff Asness’s AQR Capital Management, Phill Gross and Robert Atchinson’s Adage Capital Management and Jim Simons’ Renaissance Technologies. Technically Speaking: Catalyst Biosciences Inc (CBIO) Beat The Bully, Breaks... Should You Buy Mastercard Inc (MA)? Fate Therapeutics Inc (FATE) Stock: Soaring On Financing And EU Approval Is Apple Inc. (AAPL) A Good Stock To Buy? Nelson Peltz Remains Supremely Confident in Top Stock Picks Du Pont (DD), SYSCO... Is Merck & Co., Inc. (MRK) A Good Stock To Buy?